I hope everybody out there who stops by to read this blog every now and again is enjoying a happy and peaceful Christmas. Everything has been going well here and I am happy to report I have over two weeks off work with holiday now, so there will be time for plenty of relaxing, family time and, of course, radio time. Although I didn't get chance to listen to the radio very much on Christmas Day, I did have some very nice radio-related presents, as you can see . 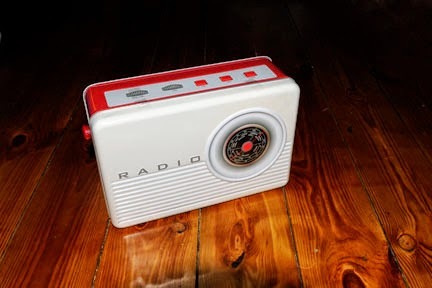 . .
A box of biscuits in disguise as a radio! I've popped down to the radio room over the last few days and enjoyed listening to various stations, including Radio Marabu on 6239 kHz. I always like to tune in to their alternative music programming, and this Christmas has been no exception. This morning it was good to hear a steady signal from Polaris Radio on 7600 kHz and a good sound from the Free Radio Service Holland on 9335. And this afternoon I spent a good while tuned in to Weekend Music Radio on 6395. Jack Russel's festive programmes are the stuff of pirate legend, so it was great to hear him roll back the years today on a live broadcast with a powerful signal and great modulation as you can hear on this recording, which was made just before propagation conditions changed and the skip became longer. Towards the end of the recording you can start to hear the noise level increasing. But before that, the signal is almost local quality . . . Some bad news from the east of the Netherlands yesterday. At around lunchtime, Radio Tower was broadcasting on 6306 kHz when two members of the AT showed at the studio. 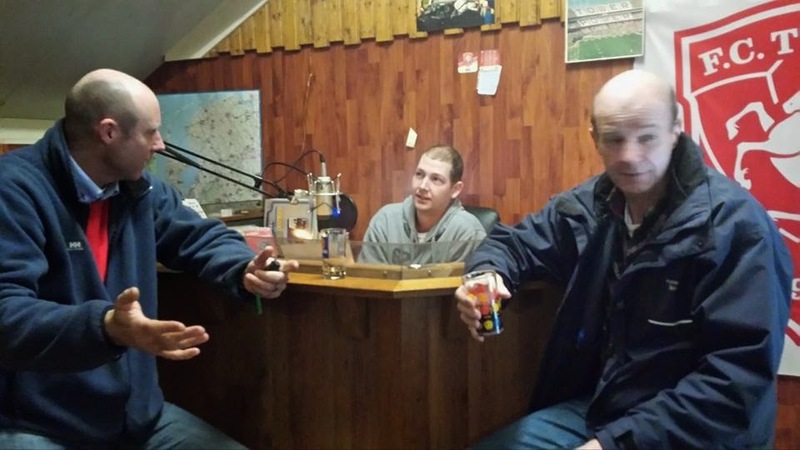 However, the meeting was very civilised and the AT guys even had a drink while the transmitter remained on air. In fact, the broadcast continued for many hours and during the evening a second transmitter was added on 1611 kHz, which was giving a fair signal here in England. The Tower team was told they would receive a letter in due course that would tell them they would face a fine of 2,500 euro if they were found broadcasting from the same location again. So perhaps this will signal the end of the station? Listening around on the MW band last night there was a distinct lack of activity. Clearly, now the AT has turned attention to AM, many stations are running scared. I also understand Santana and Vrolijke Mijnwerker have heard from the authorities in recent weeks, with a promise of a hefty fine if they return to the airwaves. Worrying times for pirate operators . . . I was working at home today and at just after 1430 I switched on the radio to the top of the MW band. I didn't really expect to hear anything as it was over an hour before sunset, which is when the Dutch pirate signals usually start to arrive over here. Imagine my surprise when I heard music on 1640 kHz. Then when that station closed down, there were signals on 1645 and 1629. I had found a qso between Cobra, Picolo and Baanbreker, and the first two of those names were new to me, although I think Picolo was a more well-known pirate using a different name which is a popular tactic at the moment to throw the increasingly active authorities off the scent. It was pretty impressive to hear these guys during the afternoon and a reminder that conditions are starting to pick up again for listening to Dutch pirates here in England. The signals weren't strong, and I wouldn't expect them to be at that time of day, but they were listenable, as you can hear on this short recording of Baanbreker . . .
After that brief burst of activity, the band remained quiet for several hours, with nothing coming through until around 1820 when I heard another qso, this time featuring Baanbreker again, but with the addition of Interpol, Kleine Man and Derdeman, all of whom I've not heard for a good while. That's the great thing about this time of year over the summer months. 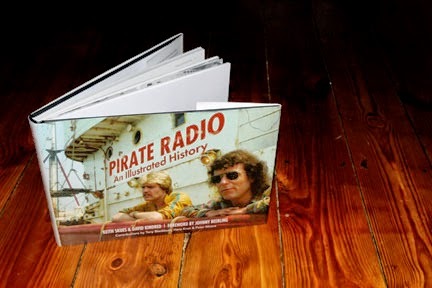 Sure, propagation might be a little up and down, and skip can often be long with Balkan pirates coming in strongly, but it also gives the chance to hear Dutch pirates at a different time of day - and that means the opportunity to hear some names other than the norm. Some Dutch stations broadcast only in the daytime, which means for most of the year I don't get to hear them, but the winter months give that opportunity. Now if I lived by the sea on the east coast I would be hearing the stations round the clock every day of the year - but I don't, and if I did then I'd never leave the radio room! Anyway, here's a recording of Interpol I made at around 1830 local time. Looking back through my logs it seems the last time I heard this station was on January 7, 2013 - nearly two years!